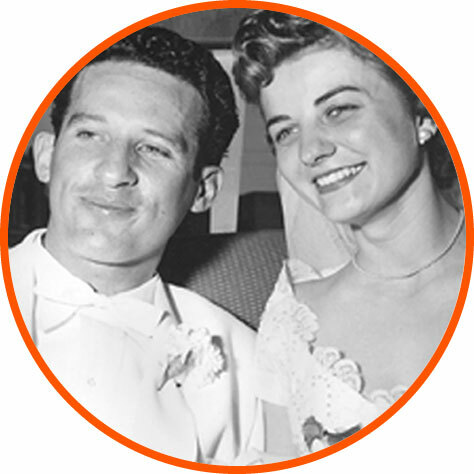 The global chain that Little Caesars is today began with a blind date between Mike Ilitch and Marian Bayoff that was arranged by Mike’s father in 1954. Within just a matter of months, the couple was married. 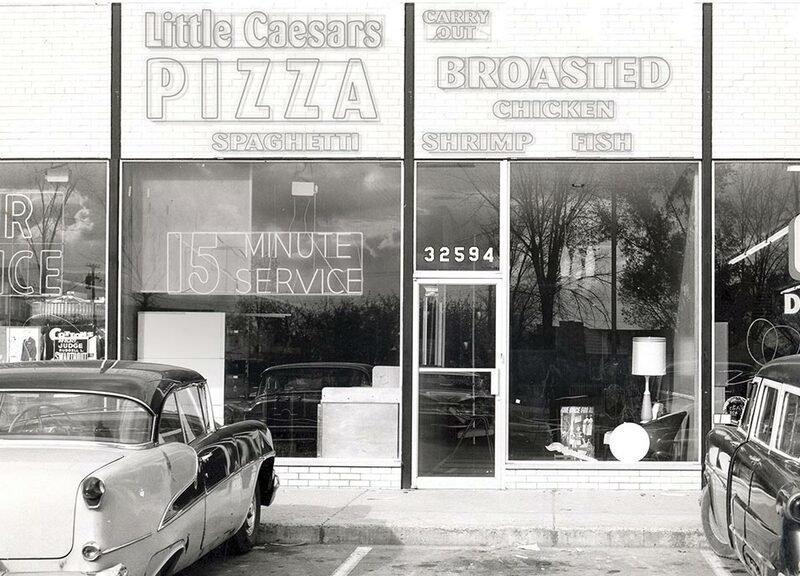 Mike and Marian Ilitch invest their life savings into their first pizza store in Garden City, Michigan, a suburb of Detroit. 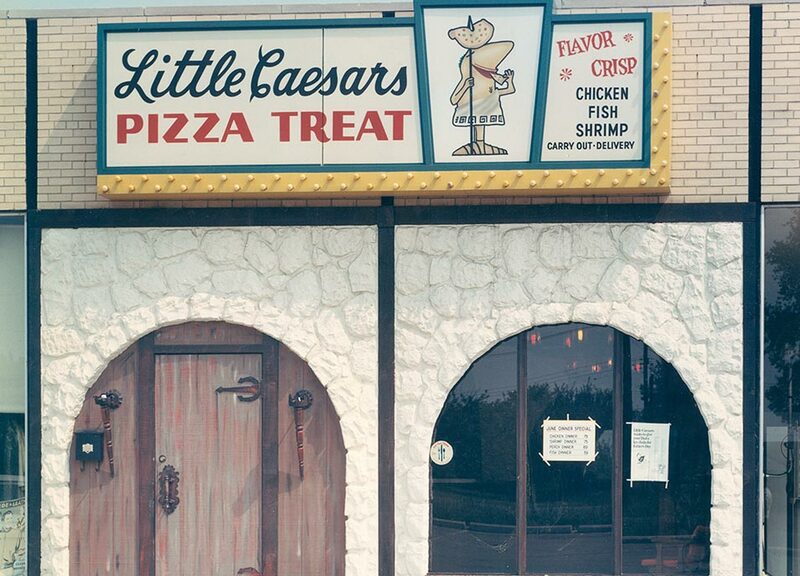 Marian carefully recorded Little Caesars very first sales in a spiral notebook. The first franchise opened in Warren, Michigan. 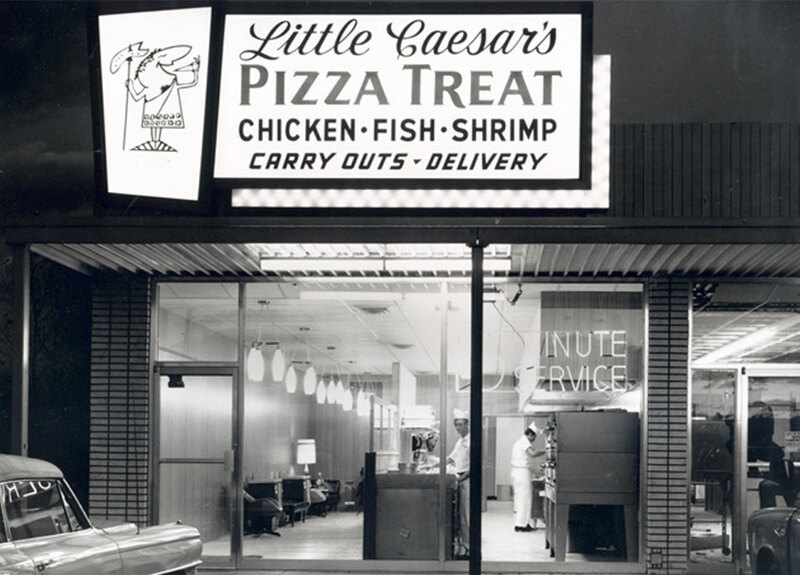 The business decision to expand through franchising paved the way for Little Caesars to become the fastest growing pizza chain in the U.S. and an internationally known brand. 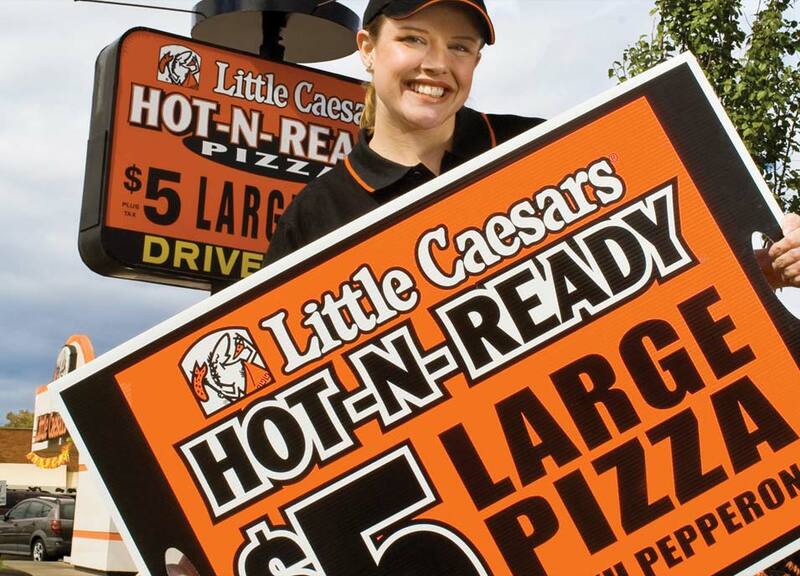 * Little Caesars logo becomes a 3D figure used in outdoor signage. *Fastest growing pizza chain in the U.S. – based on net number of stores added each year 2008-2015. 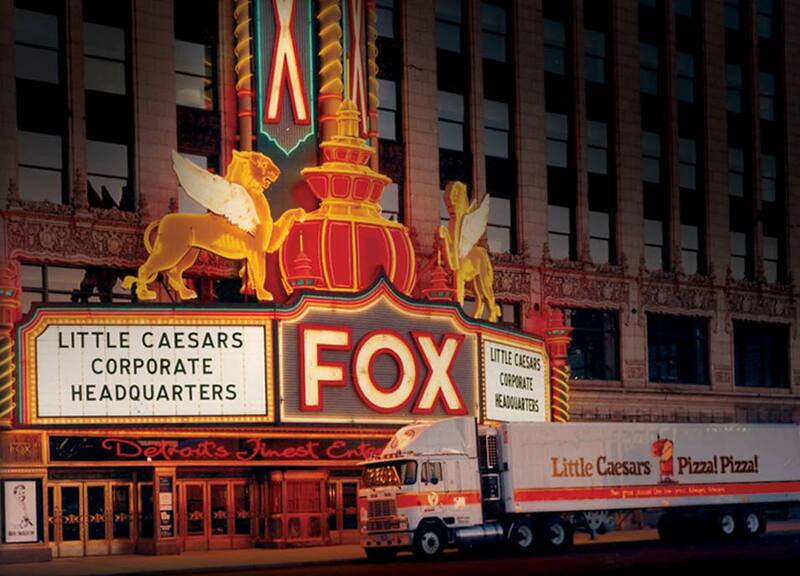 Little Caesars opens its first location in the city of Detroit. 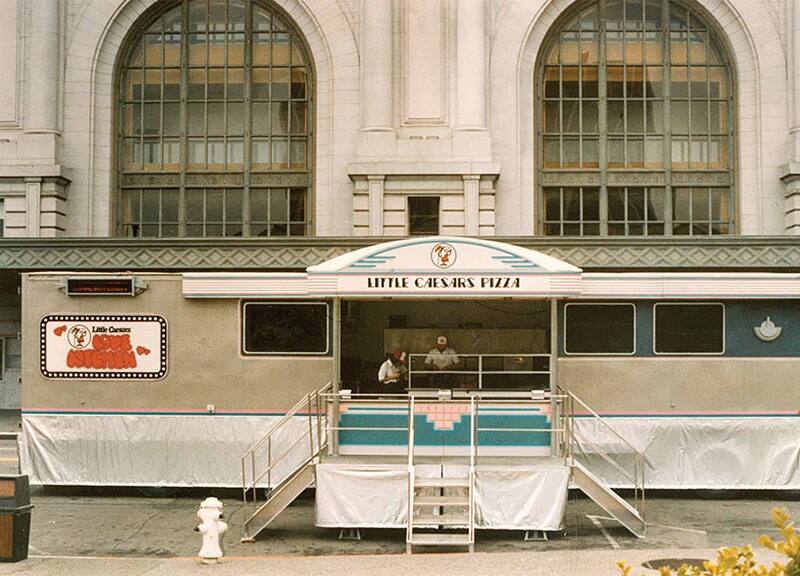 Little Caesars celebrates the opening of its 50th restaurant. 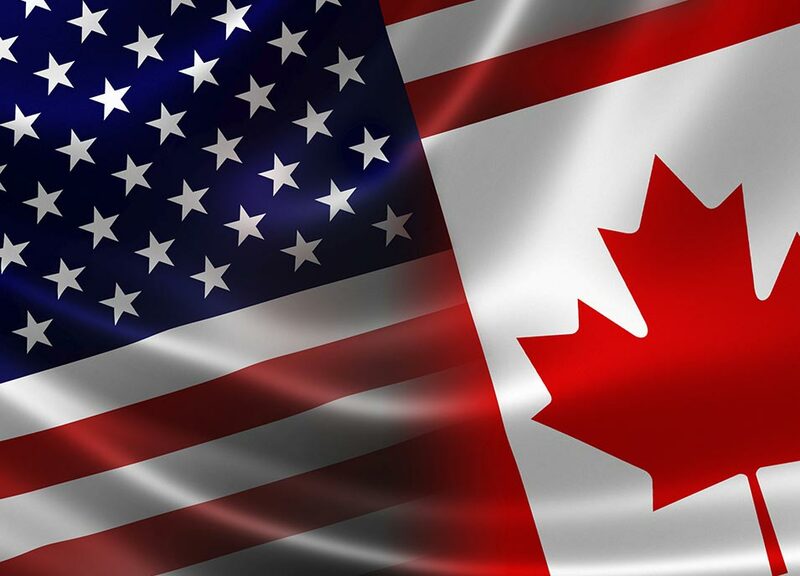 It also went international with the opening of its first store in Canada. 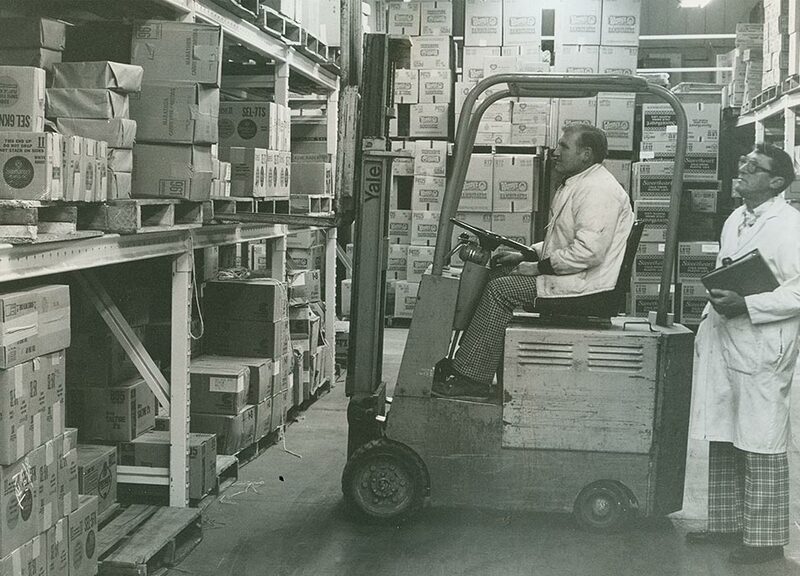 Today, the company has stores in all 50 states and 18 international markets. Mike and Marian have always considered Little Caesars employees as one big family. "I consider Little Caesars my eighth child," said Marian. The Ilitches purchase a mushroom farm to improve mushroom quality and pricing. Little Caesars Mushroom Farms, Inc. ultimately expanded to become Little Caesars primary, full-service distribution company known today as Blue Line Foodservice Distribution. 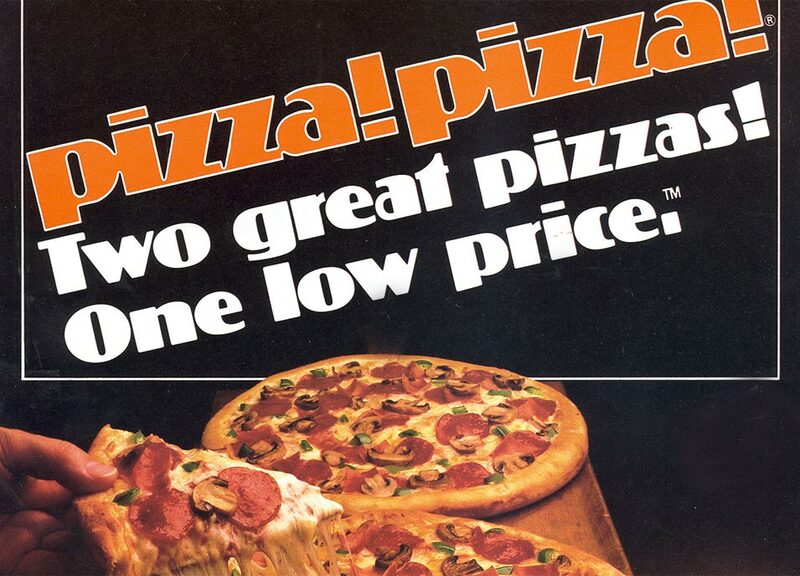 Little Caesars launches a new offer for two pizzas for the price of one and coins the famous PIZZA!PIZZA!® phrase. Little Caesars Amateur Hockey League begins, which would grow into one of the country’s largest and most respected youth hockey programs. 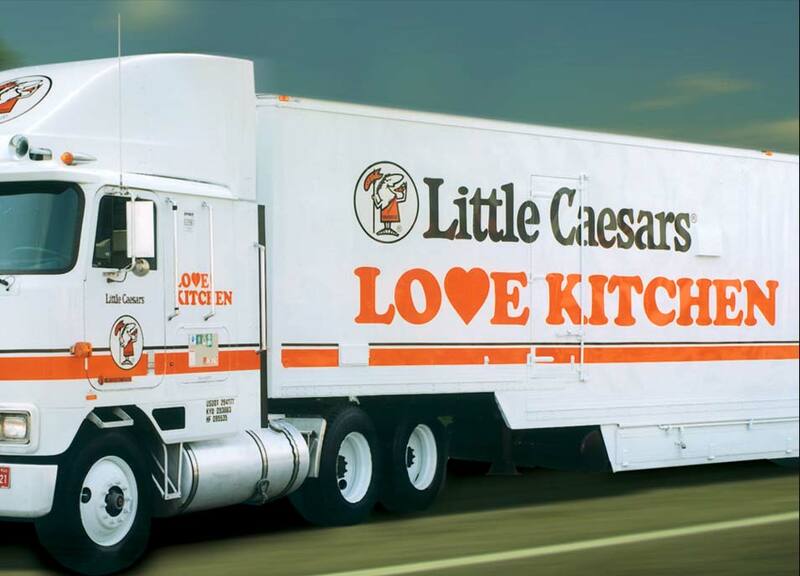 The Little Caesars Love Kitchen begins traveling the country providing free, hot pizza to the hungry and homeless, as well as disaster survivors. A square deep dish pizza, called Pan!Pan!® is added to the Little Caesars menu. 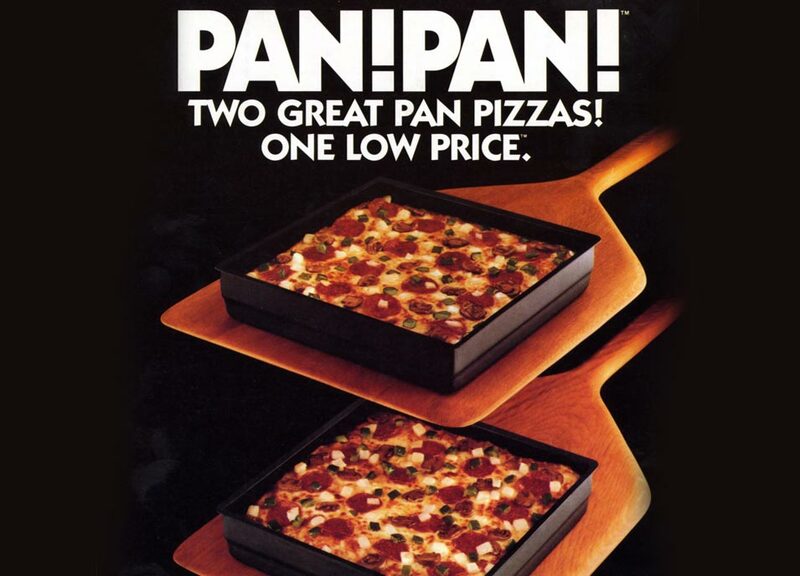 As part of the two-for-one deal, customers can get two Pan!Pan! pizzas or Mix or Match® with a round pizza. Little Caesars begins national television advertising. Several commercials received industry recognition as being some of the world’s best. 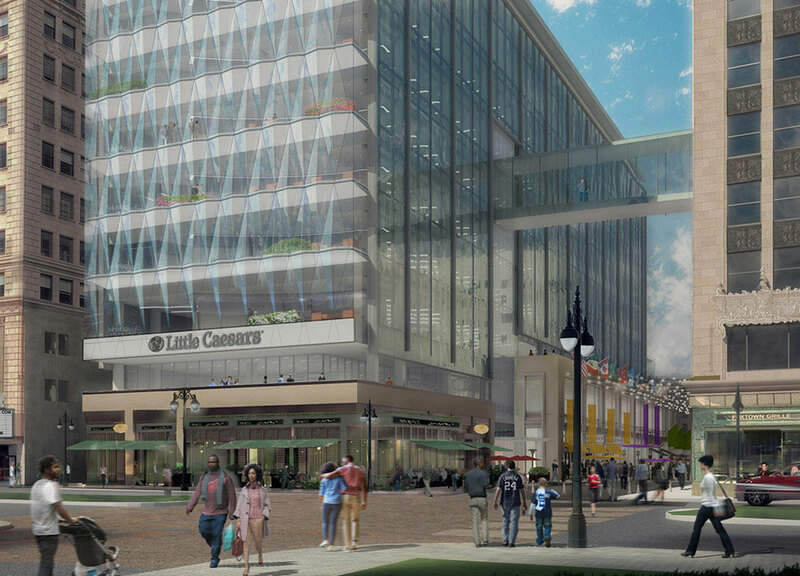 The Ilitches commissioned a dramatic renovation of the 10-story office building adjacent to the Fox Theatre, which they purchased in 1987, establishing a new world headquarters in Detroit. Shakerboards are introduced to advertise the HOT-N-READY® promotion.